Grey “Harlowe” Carter passed away on December 4th, 2018 at Rex Hospital surrounded by her family. Harlowe was born on August 7th, 1937 in Louisburg, NC to the late Aaron and Laura “Arnie” Arnold. She was the baby of the family with nine brothers and sisters. She graduated from Bunn High School in 1956, where she was a cheerleader and met the love of her life, Glynn. They were married on December 22, 1956. Shortly after, he nicknamed her “Pokey” because she was “so blessed slow”. They were happily married for 51 years at the time of his passing in 2008. Harlowe’s greatest joy in life was her family. She was a loving wife, mother, grandmother, and friend. She loved to laugh and spend time with her family. She also loved to shop, you could say it was her favorite past time, and she was an excellent decorator. She was a Godly woman and loved to serve the Lord. She was an active member of New Hope Christian Church for her entire life, where she was also an Elder for many years. She thoroughly enjoyed spending time with her church family as well and made many lifelong friends as a result. She also participated on the Historical Committee, Helping Hands, and Quilting Committee. 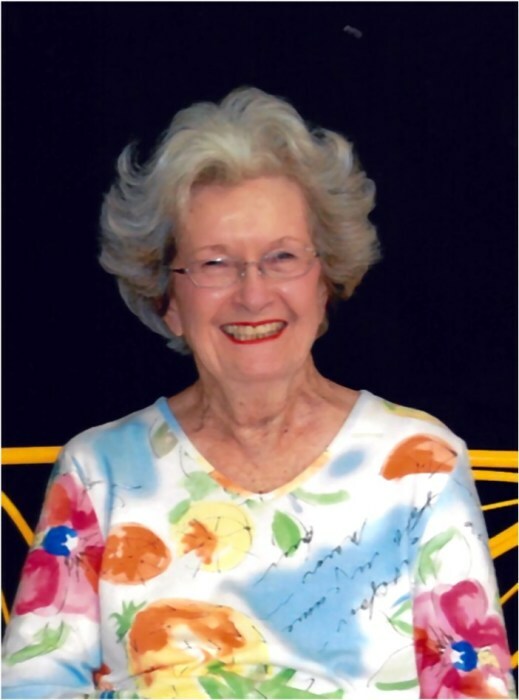 She was a member of the Garden Club in Bunn. Harlowe retired from the North Carolina Department of Revenue in Raleigh after 32 years of service. She moved to The Lodge in Wake Forest in 2016 and met many new friends, as well as serving as an Ambassador there. Harlowe was preceded in death by her loving husband, Glynn “G.B.” Carter, daughter Sherry Lynn Carter, parents Aaron and Laura Arnold, brothers Claude, Odell, Linzey, Robert Brooks, and Grady Arnold, as well as a sister, Mozelle Hensely. She is survived by her son and daughter-in-law, Tim and LaDawn Carter, granddaughters Amber Haymore (Jeff) and Ashlan Golden (Chase), great grandsons, William and Jeffrey Haymore and Conner and Emerson Golden, sisters Rudolph Sprow, Carrie Gray, and Betty Mullen (O’Deyne), many nieces and nephews, as well as too many friends to count. Her family would like to also give a special thank you to her friends, Lelon “Chic” and Janet Winstead and Dwight and April Denton, who not only enriched her life, but also helped care for her during her illness. The family will receive friends on Thursday, December 6th from 6:00 – 7:30 pm at Strickland Funeral Home & Crematory, 103 W. Franklin St., Louisburg. Funeral will be held on Friday, December 7th at 2:00 pm at New Hope Christian Church, 2779 NC-98 Louisburg. Burial will follow at Bunn Cemetery.